I must mount my soap box once again. So I was watching the Netflix new series “Rotten”, the peanut allergy segment. They didn’t have much about causes although they did touch on gut biome and being too clean, the farming aspect was only about not getting the bacteria we used to from the food grown but nothing about pesticides, chemical fertilizers or gluten. What does that have to do with this severe flu season……a lot! I worry about the children born in the last decade and beyond. They have little or no chance at being healthy for several reasons. The food they eat is full of chemicals, sugar and unhealthy ingredients. The vaccinations received from birth on are wreaking havoc on their immune systems not to mention all of the antibiotics administered. The environmental toxins today are over the top from fire retardants, personal hygiene products, cleaning products and even the drinking water, to name a few. The cleanliness and antibacterial movement is not allowing the children to come in contact with bacteria and build up natural defenses against them. All of this has to do with the gut becoming permeated, and toxins that should be expelled are going into the blood stream and the immune system is attacking them. Our immune systems have become so confused they are attacking things that 50 years ago would not have been attacked….thus the skyrocketing food allergies and auto immune diseases. 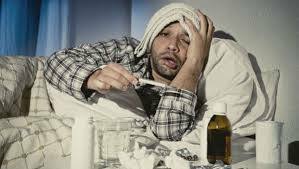 The body has no chance of fighting off the flu bugs with their immune systems destroyed from the day they are born. If we do not stop this insanity this generation is going to be the sickest generation ever. In my opinion modern medicine is not the answer but a contributor to all of this, once you are in the system you can never heal only try to mitigate the symptoms which leads to further disease. Yes there is a lot we can do….but I will leave that for another day!